The management of FBAlliance Insurance represents significant and varied experience in the insurance industry. Here is the management team of FBAlliance Insurance. Rade Musulin is currently the Chief Executive Officer of FBAlliance Insurance, a US insurer charged with delivering innovative new products to Farm Bureau members in states across the US. Previously, he was Chief Operating Officer of Aon Benfield Analytics Asia Pacific and Vice President Operations, Public Affairs, and Reinsurance for the Florida Farm Bureau Insurance Companies. Rade is a member of the Casualty Actuarial Society (CAS; US) and the American Academy of Actuaries. He is currently on a number of professional committees globally, including the IACA Committee (Board) and the Resource and Environment Working Group for the International Actuarial Association; the Terrorism and Extreme Events Committees for the American Academy of Actuaries; the Agricultural Insurance in Asia Working Party and the International Member Services Committee for the Casualty Actuarial Society; the Editorial Board for the Australian Actuarial Journal; and the Editorial Board for Oxford University’s Environmental Hazards Journal. He has devoted much of his career to examining public policy issues arising from extreme events. He has served as an editor on academic journals, authored numerous peer reviewed papers, and spoken extensively on issues arising from new development in a rapidly growing world facing uncertain outcomes from global warming. He has also worked in various roles in agricultural insurance in both the US and Asia, including crop insurance, crop modeling, general insurance for agricultural risks, and reinsurance. 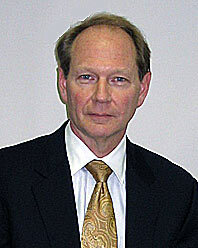 He served on the Florida Hurricane Catastrophe Fund Advisory Council for eight years and was its Chairman in 2002. 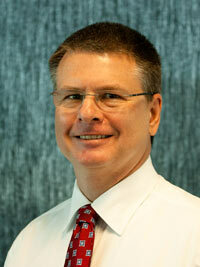 Jeff Dillon, CPA, is Chief Financial Officer of FBAlliance Insurance and its affiliates. Previously he served as Treasurer and Executive Officer with the Virginia Farm Bureau and the Virginia Farm Bureau Mutual Insurance Company. He has nearly 30 years of experience in the insurance industry having served in senior executive positions with life, health, and property casualty companies. Jeff graduated from Illinois State University with degrees in Accounting and in Business Administration. In addition to earning the designation as a Certified Public Accountant, he has also earned industry designations as a Chartered Life Underwriter (CLU), Fellow Life Management Institute (FLMI), and Chartered Financial Consultant (ChFC). His experience includes executive management of finance and accounting, information technology, governance, insurance operations and administration, agency, and government relations. Jeff has been an instrumental leader in the creation of new insurance companies and the turnaround of troubled companies inside and outside of the insurance industry. 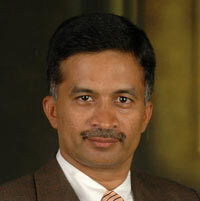 Guru N. Rao, Ph.D., is FBA’s Chief Analytics Officer. Reporting to the CEO of the company, Guru is responsible for devising and executing on strategy for data, analytics, business intelligence, insurance product development and related technology functions. His vision for analytics and data science at FBA is to enable a data-driven culture to making sound business decisions that result in faster and better outcomes for the company and its investors. Guru is a risk management, analytics and data science professional. Prior to joining FBA, Guru was AIG P&C’s Catastrophe Management Officer. At AIG he established a global catastrophe modeling practice and the Analytics Center of Excellence that supports commercial underwriters with capturing, assessing and pricing commercial property and energy risks. Guru’s previous experience includes a long career at Aon Benfield, leading its US catastrophe management practice, establishing a global analytics center and R&D unit, developing catastrophe models, and advising clients on catastrophe risk management and reinsurance. He also spent two years with one of the leading catastrophe modeling firm, Risk Management Solutions (RMS), as SVP of marketing and strategy building the vision for their new platform. Guru’s educational qualifications include a Masters and Ph.D. in Civil Engineering from University of Illinois at Urbana-Champaign, and a Masters in Engineering Management (MEM) from Northwestern University. Guru also serves on the advisory board of Northwestern’s MEM graduate program.